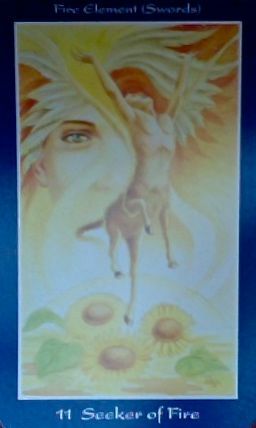 Today's Draw: Seeker of Fire (Page of Swords) from the Shapeshifter Tarot by Lisa Hunt. Would you generally call yourself a diplomatic person? Do you tend to be diplomatic in your actions and words, but not in your thoughts? If diplomacy and discretion are society's defaults, what are your personal defaults?